Price: £12.50 post paid (£11 from NBB stand at beekeepers' events) Purchase here. 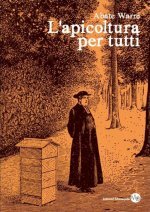 This book describes the development, construction and operation of the 'People's Hive' of Abbé Émile Warré (d. 1951). Responding to the obvious decline in beekeeping in France since his youth, Warré experimented with some three hundred and fifty hives of various designs with the aim of producing a hive that was simple, economical, bee-friendly and assured a surplus for the beekeeper. 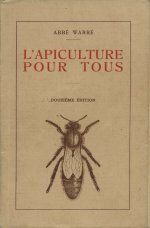 The resulting 'People's Hive' described in his book L'Apiculture Pour Tous, which ran to twelve editions in French, is presented here for the first time in English. Warré's hive can be easily made by anyone with basic woodworking skills or is available from suppliers in the UK, USA or continental Europe. 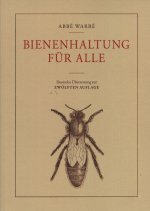 The renaissance in beekeeping has produced a flood of beginners, many of whom will be attracted to the more natural way of keeping bees described here. L'Abbé Eloi François Émile Warré was born on 9 March 1867 at Grébault-Mesnil in the Somme département. He was ordained a priest on 19 September 1891 -- Amiens diocese -- and became the parish priest of Mérélessart (Somme) in 1897 then of Martainneville (Somme) in 1904. 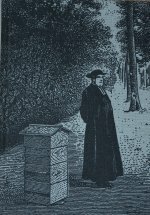 He disappeared from the records in 1916 subsequently to reappear at Saint-Symphorien (Indre-et-Loire) to devote himself exclusively to beekeeping. He died at Tours on 20 April 1951. 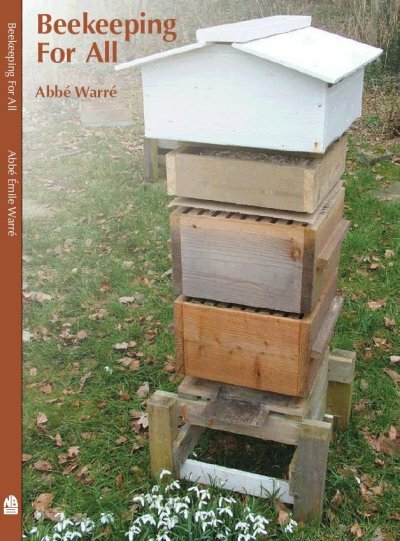 Abbé Warré developed The People's Hive based on his studies of 350 hives of different systems that existed at his time as well as of the natural habits of the bee. 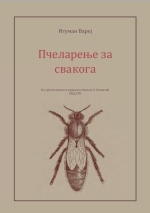 To publish his findings, he wrote several books: La santé ou les Meilleurs traitements de toutes les maladies (Health or better treatments for all illnesses), Le Miel, ses propriétés et ses usages (Honey its properties and applications), La Santé, manuel-guide des malades et des bien-portants (Health, a manual for the ill and the well) --1912 -- and by far the most important L'Apiculture pour Tous (Beekeeping for All) whose twelfth and last edition is dated 1948. Climate data for Tours where Warré developed his beekeeping business: click here. 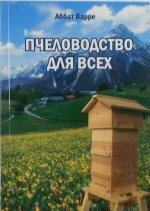 Z francouzského originálu L'apiculture pour tous (12. vydání) přelož Petr Šimon. Předmluvu David Heafa z angličtiny přeložila Veronika Nádeníčová. Odborni poradci Ivan Černý, Jaroslav Bajko a Lukáš Kubec. 2018, Kubec Lukáš - Netoliko. This book is not yet available in print. Download the free PDF here. 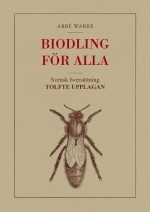 A complete translation of L'apiculture pour tous into Spanish is in preparation by Alvaro Ferres, Uruguay. request a copy of the PDF from him at: pablo (dot) demiguel (at) correo.gob.es .